What makes The Mermaid Inn so special is that we realise that the key to a good venue is getting people together. Unlike many other holiday cottages that offer large group accommodation, The Mermaid is a single residence that everyone stays in and features an impressive 12 metre dining room and ample lounge space – perfect for getting your group together. Groups with children can relax in the knowledge that they are safely tucked in upstairs, whilst the evening celebrations continue downstairs. 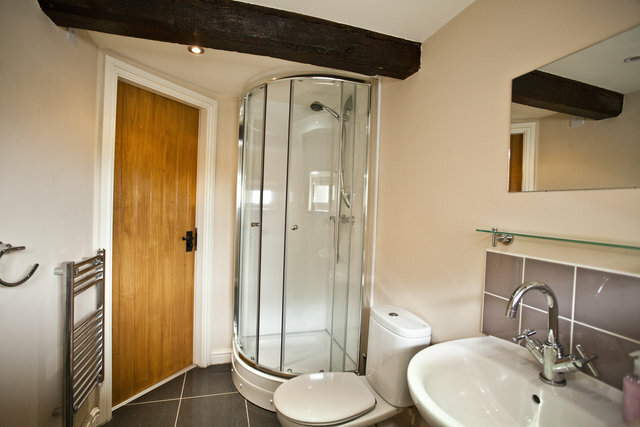 All 13 bedrooms have en suite facilities. The Mermaid is a historic pub converted into an exclusive self-catering venue and has amazing panoramic views of what is arguably “the view” of the Peak District. The historic spa town of Buxton is only 20 minutes’ drive away, as is Alton Towers, not to mention lots of walking opportunities nearby - plenty to keep the whole group happy. Whatever your occasion, The Mermaid Inn provides a truly inspirational setting. Grade II listed 17th century coaching inn in a spectacular location, conveniently located between Buxton & Leek, your very own moorland escape. 13 bedrooms all under one roof, each with en suite facilities. 12 metre dining room with an 11 metre table, 3 further lounge areas plus your very own “pub” - perfect for getting your big group together. Dining table sits 34 around a single table with wood burning stove and stunning panoramic views. In “the Pub” pool table, table football, darts, and Karaoke! Large garden area with picnic benches, barbecue, and stunning views beyond. Get a closer look at The Mermaid in by watching our short video.